Big News: Void Star teams with Wandering Men Studios! Huntsville, Alabama, USA (November 8, 2010) — Revolutionary game designers and creators of the new card-based role-playing game (CBRPG ™), Untold, announced today that Mike McConnell, crafter of the best-selling Strands of Fate rulebook would be joining their ranks as the Line Developer for a whole series of new FATE-based products. These new products will build on McConnell’s phenomenal and ground-breaking work in Strands and take the line to another level entirely. "We're delighted to be working with Mike to forge ahead into the future of FATE and WMS”, exclaimed Wandering Men Studios Co-founder, Brannon Hollingsworth. “The moment we read Strands, we knew two things distinctly: first, that it was destined to become *THE* Standard for FATE-based games to come and second, that in Mike, we had a kindred spirit. We’ve since been exceedingly blessed to meet and get to know Mike and we can safely say that both of our initial impressions where dead on. We thank God for his providence and will in bringing us together and look forward to the months and years ahead!" The new Strands of Fate line will be available online, at http://www.untoldthegame.com, via RPGNOW.com, as well as select card shops, book and comic retailers starting in the new year . 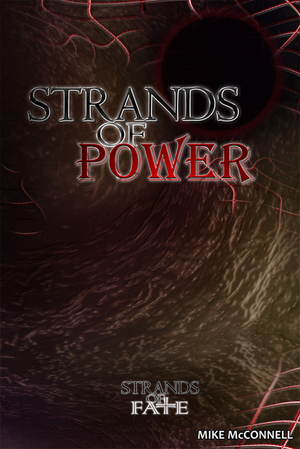 The first release will be Strands of Power: Heroic Advantages, the first in the Strands of Power series. Wandering Men Studios plans to release several new genre-specific products, building on the almost implied synergy between Strands of Fate and their own ground-breaking game, Untold. Each of these products is focused on expanding the already massive options that both Strands of Fate and Untold offer RPG fans."